With Christmas coming up we started to get the usual texts and emails from friends and family asking us if there is anything specific we want for Christmas presents. 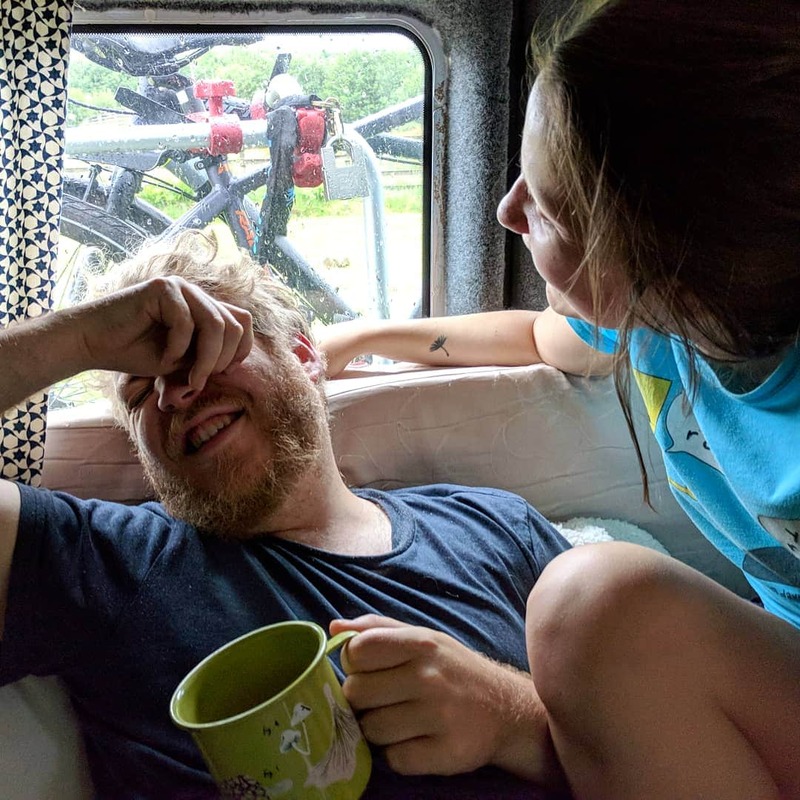 Before moving into the van we were notoriously difficult to buy for, there was never anything we needed and we don’t want for much as most of our hobbies don’t need much equipment or we already had what we needed. Aside from the Christmas before our van build, where we got loads of amazingly generous and useful presents for the van (tools, kettles, wood etc), we’ve been a nightmare to buy for and now things have only gotten worse! 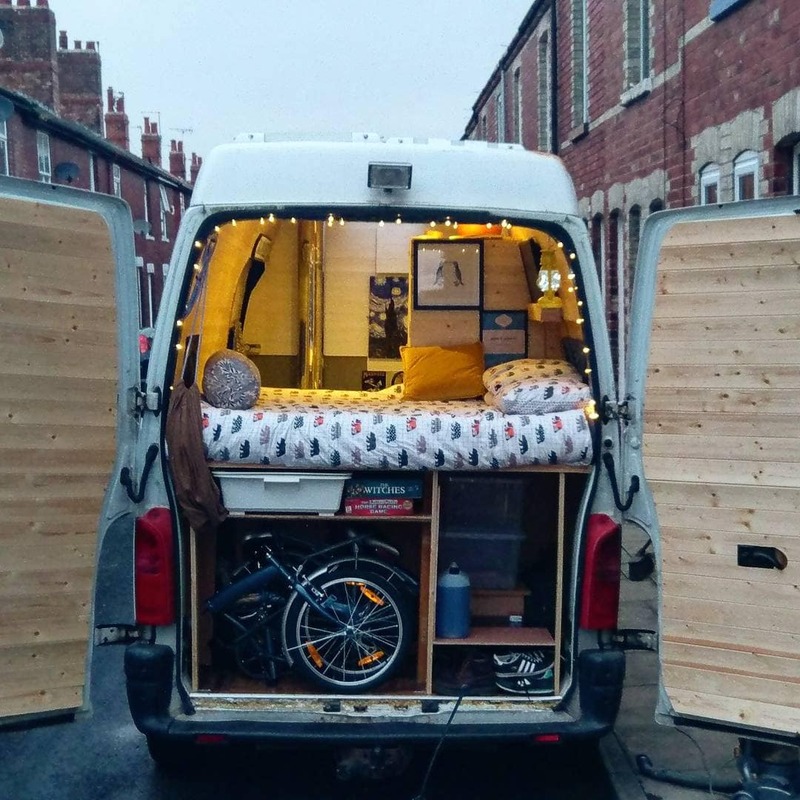 When we moved into our van we gave up load of our possessions, we have limited space so we only carry things which we know we need or that we are going to use on regular occasions and so trying to come up with gift ideas us was really difficult. 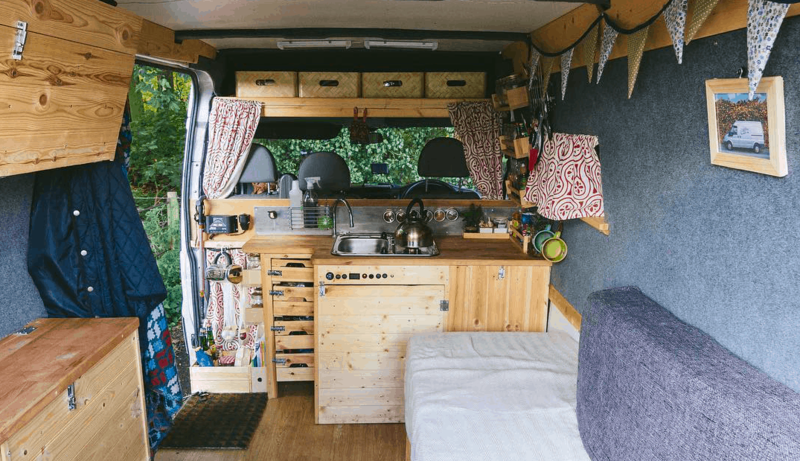 We figure it must be the same for everyone trying to buy gifts for those who are also living the vanlife so we thought we’d put together a few gift ideas that we know we’d like and use in our van but also that we think others living this lifestyle would also enjoy! We use a bunch of these in our van for all kinds of things, holding up mugs, keys, sunglasses as well as holding back curtains. They are extremely versatile and look great. You simply screw these in via the screw hole and then the popper creates a quick open and close catch for you to be able to securely hang things around your van. A great stocking filler or smaller gift for anyone living in a van. We may be biased here but we love van t-shirts, so much so that we designed a few based on a couple of our favourite album covers. This one is our Dark Side of the Moon inspired T-shirt and we think its a great little gift for one of your loved ones, so much so that a bunch of our family will be getting some this year! We’ve preached about how much we love our kindles in our Top 5 Vanlife Items list but if the van dweller you know loves books and lives in a van but doesn’t have a kindle then they are missing out! Being able to store that many books without having to carry them in your van is a life saver. It was one of the best investments we made with the van they are only coming down in price so it’s a great time to get one for your loved ones. When you’ve got your Kindle definitely consider The Camper Van Cookbook and How to Live in a Van and Travel by Vandogtraveller as they are great and useful reads for the vandweller. Sony Cube Speaker When we’re in the back of the van, or outside having our dinner or even resting during a long hike we like to relax by listening to our favourite music. We do so with 2 of these Sony Cube Speakers. They are small but pack enough bass that they sound great, especially in the back of our van which doesn’t need as much power to make the music sound great thanks to it being such a small space. With these speakers you can link them together via bluetooth to double to power or simply have one in the van with one person listening to classic 90’s era hip hop and the other on the grass outside listening to psytrance. Flexible and portable, a great gift for the music lover for sure! While these may not seem the most glamorous of presents they are certainly going to be the most used and the most useful. When space is at a premium you want to make sure you have everything you need in as little space as possible. This set has a large mixing bowl, colander, siv, smaller bowl and cup measures all contained in the same size as one normal mixing bowl. It means we know we always have everything we need in the van without sacrificing the space. We have had ours for a number of years and it just comes with us on every project we’ve been to and now lives with us in the van. If you’re feeling very generous! 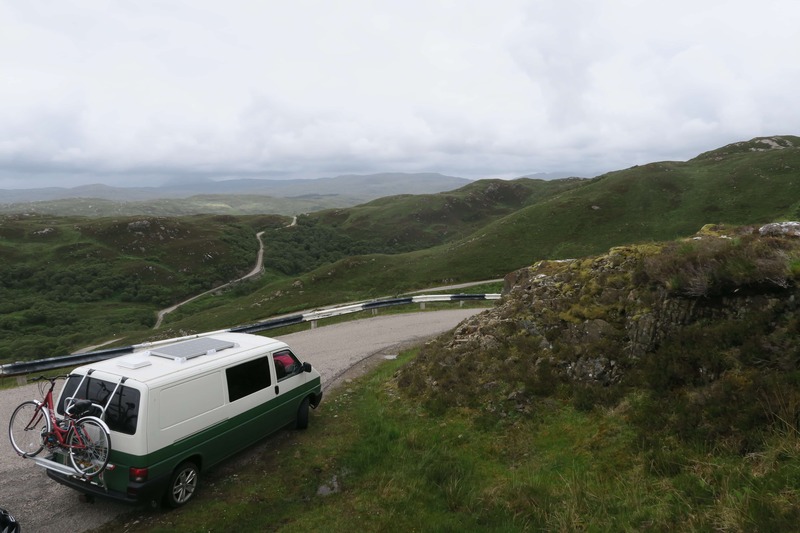 One thing we know about people living in vans is that they spend an awful lot of time outdoors in amazing places, it kind of comes with the territory! Having a way to capture some of these places in new and interesting ways really appeals to us and that’s why drones are becoming more and more popular amongst vanlifers. We love filming tracking shots of our van driving through forests or videos of the van from across the lake we are parked next to and for us the best drone for van living is the DJI Spark. Its so small and portable it is perfect for your tiny home. It has a great range and is easily chargeable. For us its the best drone for the price for van living and a great introductory drone for people wanting to get into that kind of photography or videography. We recommend it here with the Fly More Kit which gets you extra batteries and a controller amongst other things which really are essential however you can simply get the drone without this for around £200 less and still be able to use all the features simply limiting the flight time and distance you can fly. We have a full article on our campervan cinema set up and how you can get an indoor and outdoor cinema for your van for under £250 but the starting point for this is this projector. It may seem small but due to the fact the van is small and the projection doesn’t have to go far this projector is more than bright enough throws out amazing pictures as well as having endless functions. If you’re looking for a gift for someone into gadgets or movies this is perfect and is well worth the investment if only for being able to have your own outdoor cinema experience!